Each year, group health plan sponsors (employers) are required to disclose to individuals who are eligible for Medicare Part D and to the Centers for Medicare and Medicaid Services (CMS) whether or not their group health plan’s prescription drug coverage is creditable. A group health plan’s prescription drug coverage is creditable if the actuarial value equals or exceeds the actuarial value of standard Medicare Part D prescription drug coverage. 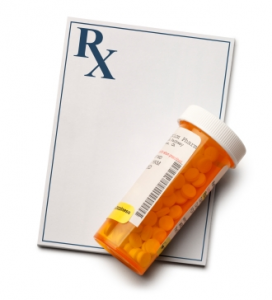 The notice of creditable coverage is required so that Medicare-eligible beneficiaries will know if they should remain in their current group prescription drug program or if they need to enroll in a Medicare Part D plan. If a group’s coverage is not creditable, then the Medicare-eligible beneficiaries in that group will need to enroll in Medicare Part D when they become eligible or they will be charged the 1 percent of premium penalty for each month they choose not to partake in the Part D program. A full disclosure is required to be distributed to all Medicare eligible individuals who are covered under its prescription drug plan each year before October 15th. To learn more about creditable coverage and notice requirements, visit the CMS website where you can also obtain sample disclosure statements. This entry was posted in General by Kelly Mead. Bookmark the permalink.